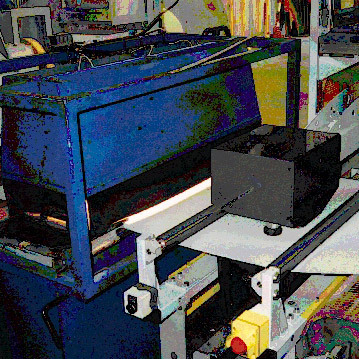 In the production of battery separators the in-line monitoring of the profile thickness is an important measurement task within the framework of quality assurance. A measurement system with high spatial resolution and a high sampling rate is needed for the determination of the profile structure. This task represents one of the classical fields of application for the laser-based triangulation sensor in the Series ILD 2000. The battery separator is manufactured in an extrusion process. For the thickness measurement the optical sensors are mounted on a welded C-frame. This traverses on air bearings without making physical contact on a hard rock base. In this way the vibration of the top belt is minimised and a precise measurement facilitated.